The gap between the incomes of the diminishing number of journalists with stable contracts and the growing band of freelances in Europe is getting bigger. 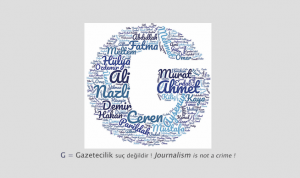 The European Federation of Journalists (EFJ) and its Freelance Expert Group (FREG) are appalled by this worsening situation. Such unfair pay practices cannot continue, since an increasing proportion of editorial content is written and produced by freelance journalists. This has an impact on the quality of journalism and, in the end, on democracy itself. That is why the EFJ has been supporting the ETUC’s PayRise campaign. One of the principles of the EU’s European Pillar of Social Rights (EPSR) declares that “Workers have the right to fair wages that provide for a decent standard of living… In-work poverty shall be prevented”. Fine words – but they must be put into practice. Our research shows little evidence of this happening. There is an urgent need for all workers, including freelances, to be covered by collective bargaining in order to make equal pay and equal treatment a reality in the digital economy. So we welcome the recent framework agreement signed between the Publishers and journalists’ organisation in Norway. 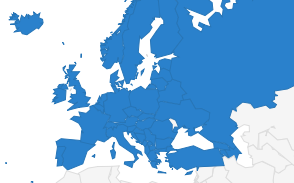 Research carried out in 2015 found that although freelances belong to unions and professional organisations in 33 European countries, more than half of these said it was impossible to secure collective agreements. Numerous studies and surveys testify to the growing gap between freelances’ and employed journalists’ pay. In Germany, a study by the Ludwig Maximilian University found that freelance journalists are increasingly highly educated and badly paid. Overall 83% of German freelance journalists have a university degree in contrast to 74.1% of permanently employed journalists, but this figure rises to 91% among female freelances. One third of self-employed journalists have to take a second job to get by. In the French-speaking regions of Belgium, research by the Association des journalistes professionnels (AJP) highlights low fees for freelance journalists, ranging from €20 for long articles in dailies to €120-150 in periodical publications and €125 for a TV report. A survey conducted among Dutch-speaking freelance journalists in Flanders in 2016 found many freelance fees falling. Some specialised magazines and websites, such as local, culinary or travel papers, pay nothing for freelance contributions – treating it like a kind of voluntary work. In Spain, almost 45% of freelance journalists overall earn less than €1,000 a month. But this figure masks a huge gender gap: 51% of freelance women are low-paid compared with 26% of men. Spanish TV pays between €200 and €400 per report, depending on the amount of background work. Freelance salaries are also falling in the UK, while the proportion of freelance journalism is growing. Incomes vary widely. Some 14% of self-employed journalists earn less than €5,700 a year whilst a tiny 2% earn more than €85,000. Freelance earnings have taken a drastic downturn over the last 10 years. France has seen an enormous increase in precarious work carried out by self-employed journalists. According to the Syndicat national des journalistes (Snj-CGT), about 6,500 freelances (pigistes) have a press card, while at least as many do not fulfil the criteria to be officially accredited. This means that almost one-quarter of card-holding journalists are freelancing, and the figure is growing year on year: last year, 66% of all new press cards were issued to freelances. And these are not just youngsters starting out in the profession: 57% of freelances are over 35. Freelances with pigiste status are covered under employment law and receive social protection. They are paid by line of written text, or minutes in broadcasting. 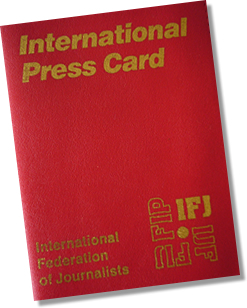 Those with a press card have an average annual salary of €1,969, in comparison to employed journalists who earn €3,549. The income of pigistes has fallen since 2000, when it amounted to €2,058, while the many self-employed journalists who cannot obtain a press card earn much less. Some work up to 70 hours a week for just a few hundred euros. In 2017 a group of 15 freelance collectives publicly denounced media employers for continually cutting pay rates, regardless of individuals’ professional qualifications and experience. In Italy, freelances make up 65% of journalists recognised by the National Social Security Institute for Italian journalists (INPGI). Their average annual income of €11,241 in 2015 amounted to one-fifth of what their employed colleagues earned. Some 83% of freelances earn less than €10,000 a year, leaving them below the official poverty threshold. 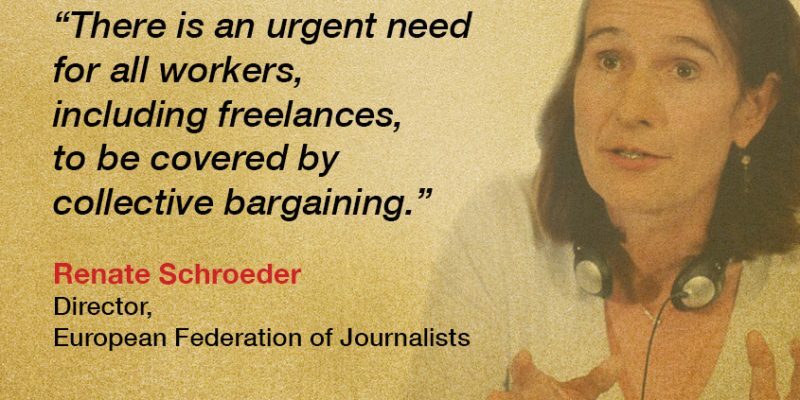 Across the EU, journalists’ pay and working conditions are being undermined, and freelances are at the sharp end. The 2018 World Press Freedom index, published in April, reported that globally, Europe is the region that has suffered the biggest drop in standards of freedom of expression. This alarming finding constitutes a threat to democracy itself. But without investment in high-quality journalism, the problem risks getting worse.